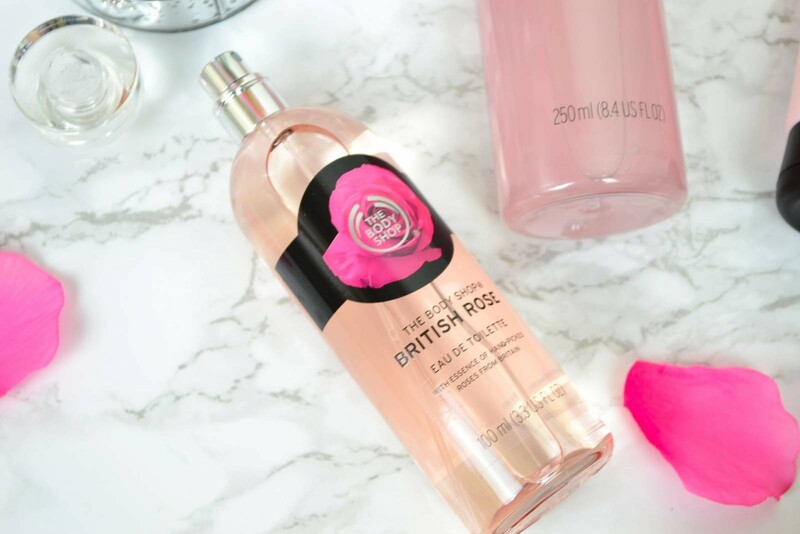 We all love roses – there’s something so beautiful about the way they are, their petals and of course, their fresh, uplifting scent so it’s no surprise to see that The Body Shop has created a range using one of “Britains Favourite Flowers” – so let’s look at all the details. As you can see, it’s sleek and pretty – I know, I’ve used that word too many times but it’s just so beautiful to look at. I really like the contrasting black and pink colours which immediately draw your eye to the product – it’s eye catching yet has an elegant feel to it which is absolutely lovely! I’ll be covering this in much more detail when I write the individual-product reviews however I thought that this would be a ‘sweet’ smelling range however I was pleasantly surprised as true to The Body Shop – this has a “true rose scent“! I’d love to know what you think if you’ve seen this or purchased a product from the range – I also think this would make a great Mothers Day Gift too especially this deluxe gift set in the range too! Let me know what you all think – can’t wait to read your comments! I really need to get my hands on this collection. Seems like I would totally adore it. That collection looks fantastic. I love the body shop, I definitely want to try them. Great review, thanks for sharing! egw k mono apo authn thn panemorfi suskevasia tha ta agoraza!! The packaging looks so nice! I love the pink and black together 🙂 I really want to try the Eau De Toilette from this range! This collection seems like it would smell wonderful. Looks like there’s some gems in this collection, I’d love to try the hand cream. They look and sound great I would love to try them.